Oldhammer Forum • View topic - Deadcember '18? Having trouble getting anything painted? Join our monthly challenges or group projects! Deadcember seems quiet this year. I'm doing it just for fun -- even before I knew anyone else was doing a Deadcember challenge, I decided to do my own as a follow up to other people doing Orctober. So even if no one else is going to do it now -- I'm still game! If someone else has organized something, I'd love to know. If not... just post your Deadcember pics below! Here's what I've got so far. 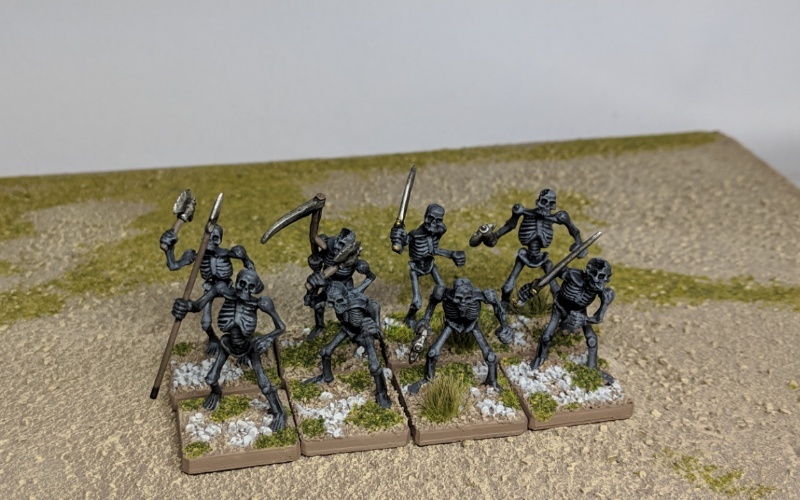 Oh and I loooove those very dark skeletons! Simple color scheme yet it gives a very good effect, as if they were animated from ashes and dust. Et à ce j'ajouterai, santé! 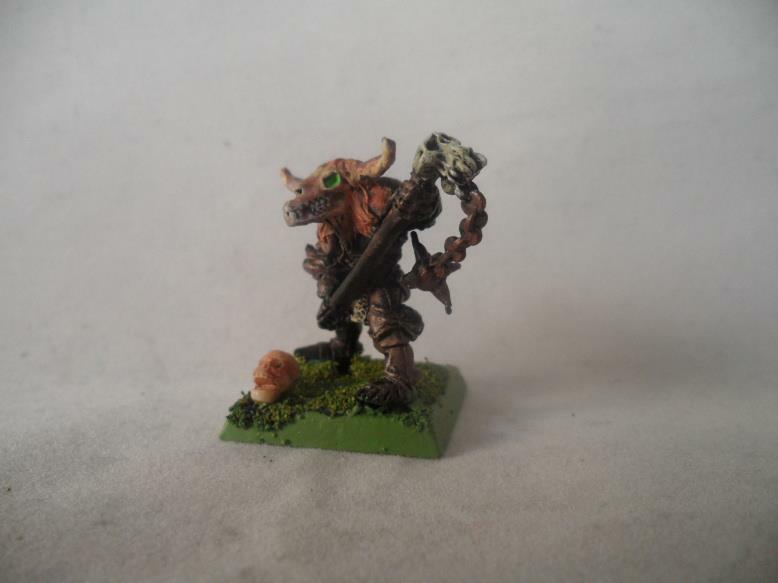 here's a necromancer and familiar, from reaper miniatures. This is my Deadcember offering a skeletal Minotaur. 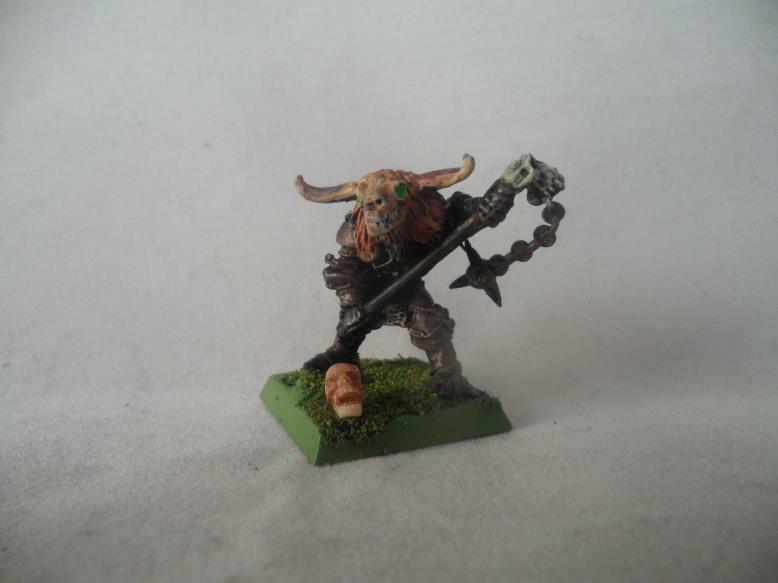 He will be joining my Minotaur warband http://forum.oldhammer.org.uk/viewtopic.php?f=20&t=16047, replacing one of the Skellies. 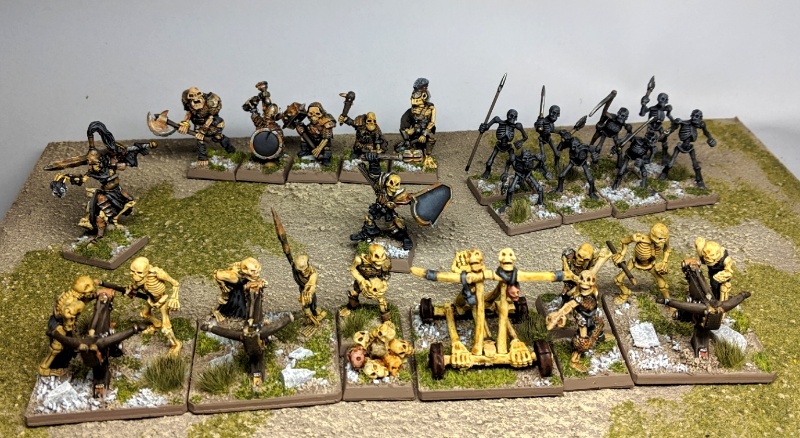 I'm hoping to have an all beastman or even minotaur skeleton unit for the warband led by Diehard's huge one which arrived recently. 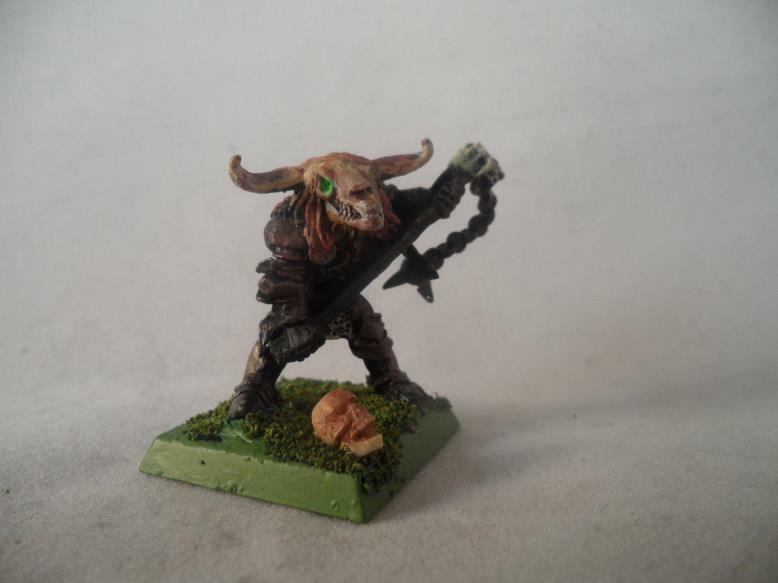 If you know of other minotaur skellies please comment. Whoops, started the thread then forgot to come back and update it. Heres what I've done so far. I hope to have one more update before the end of the month/year. I think I've wrapped up my Deadcember paint-a-thon. More than I had planned or expected! deadcember has been slow going for me, partly due to my miniature selection. i went for the fenryl ark 009 - armee squelettes pack i picked up from battlefield berlin in september 2016. these are multipart resin and were a pain to put together. here they are with the command figures painted earlier. Thanks for sharing this collection. I would like to let you know that this series is popular among us! Thanks a lot for adding the post!